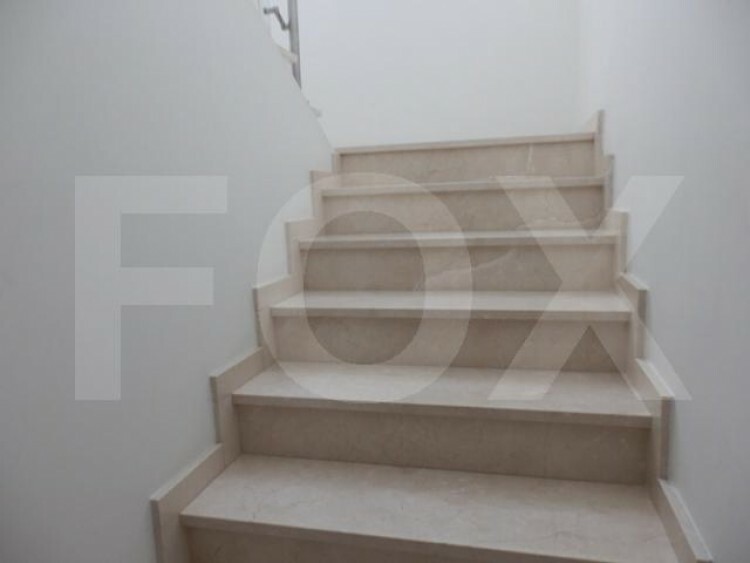 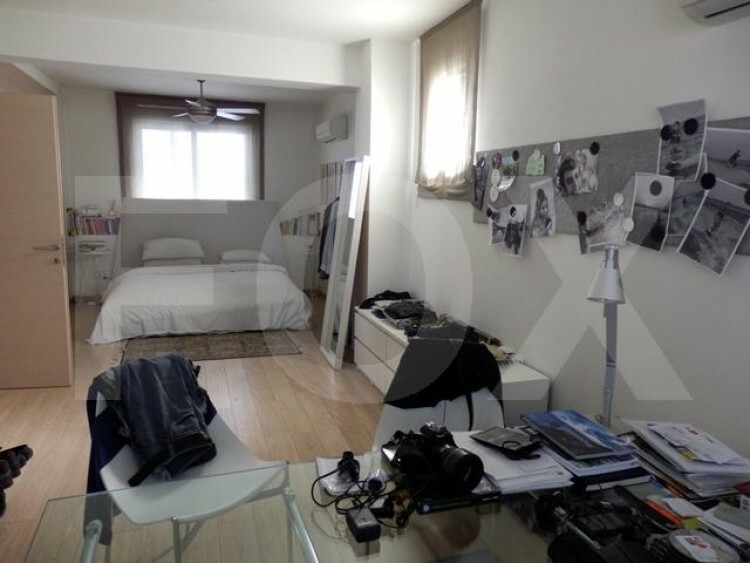 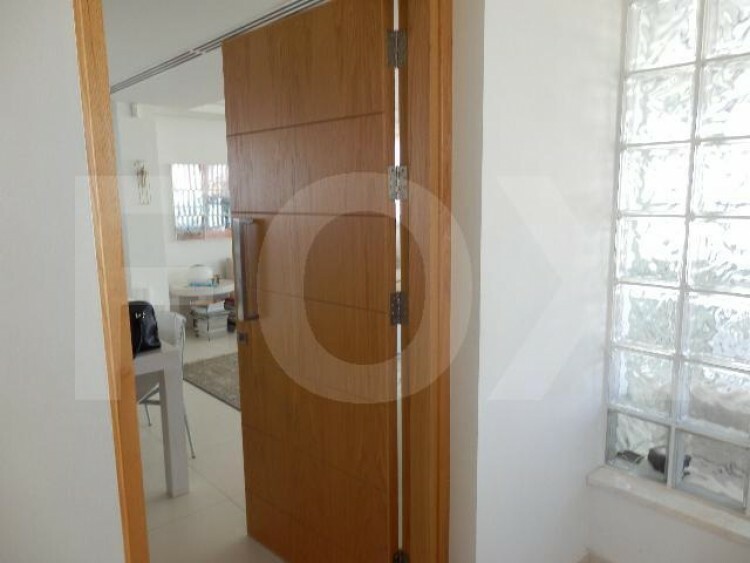 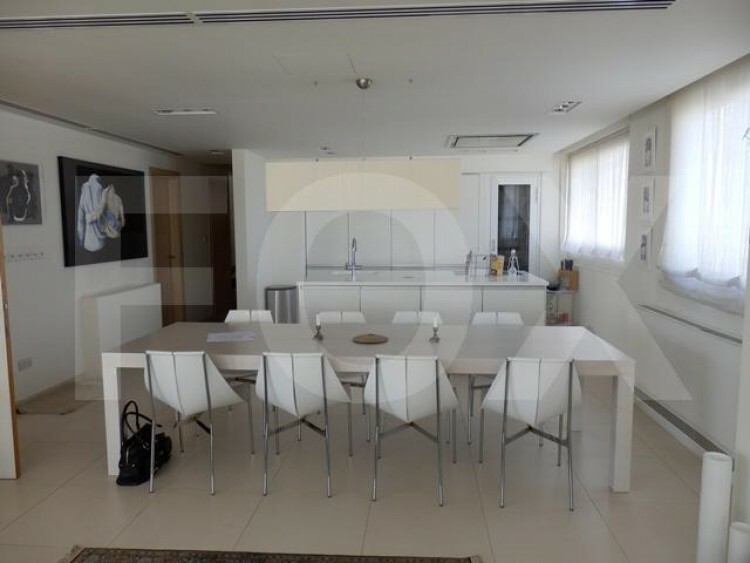 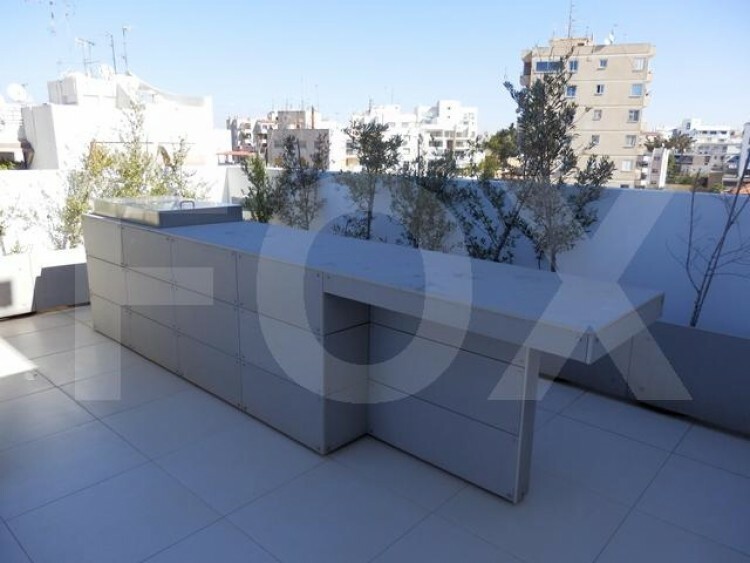 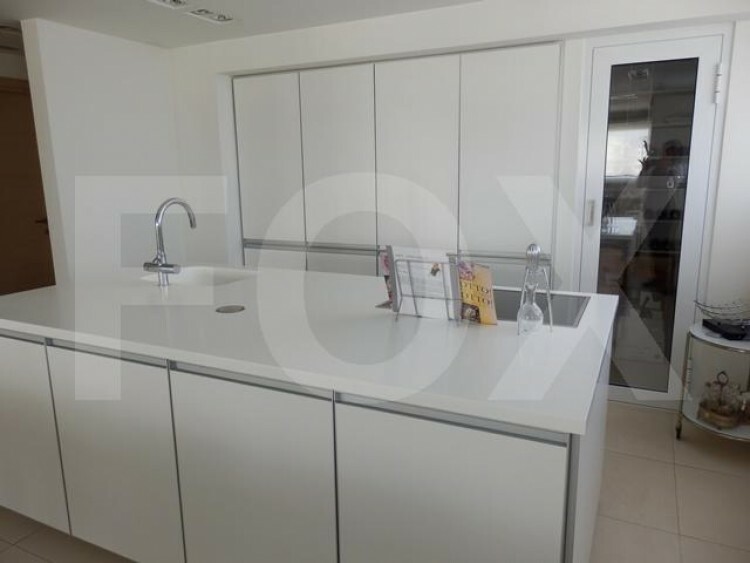 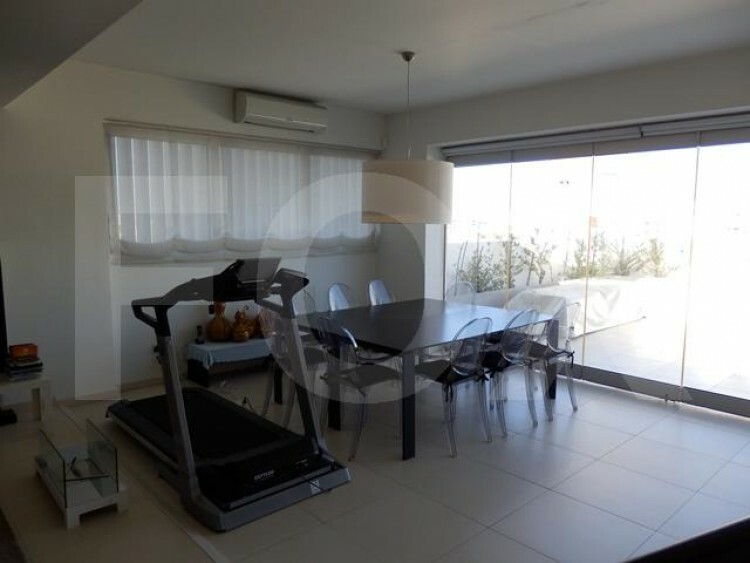 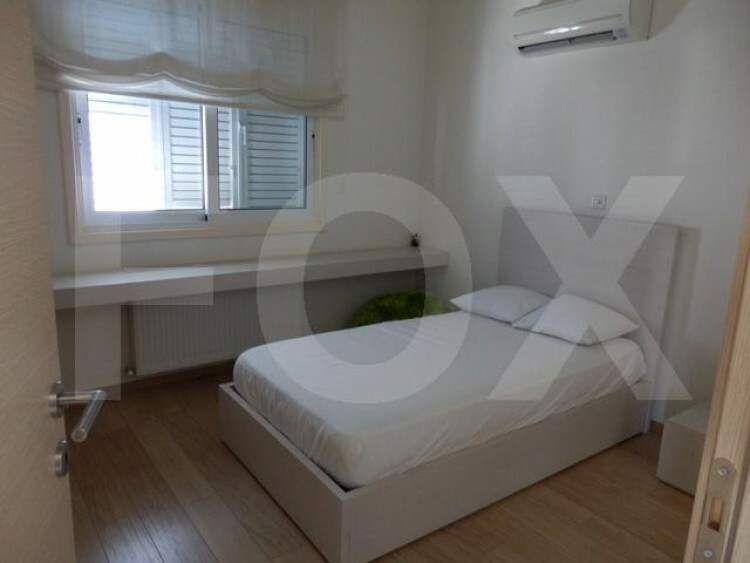 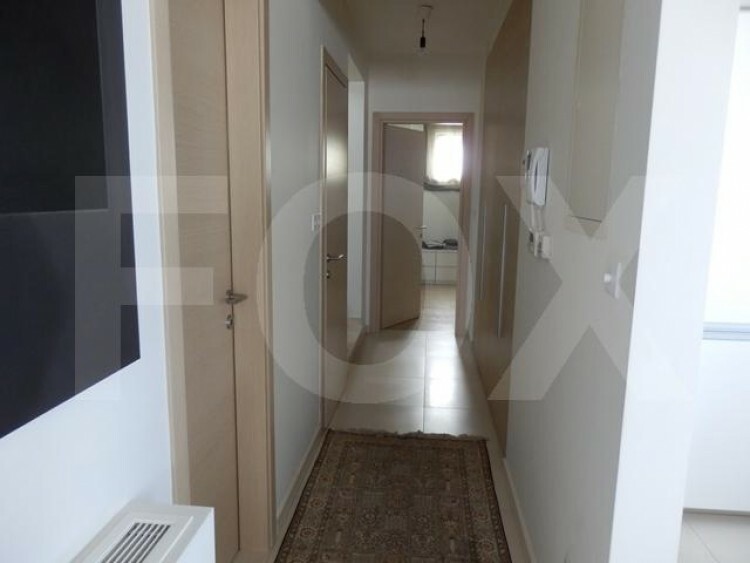 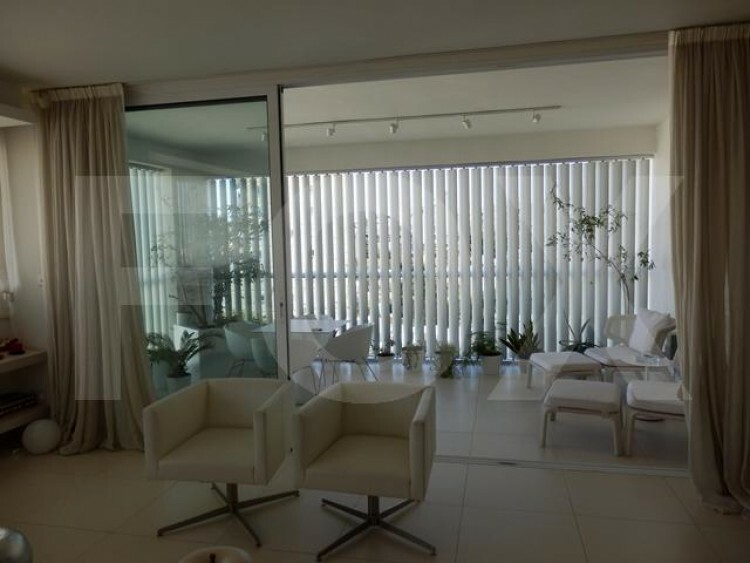 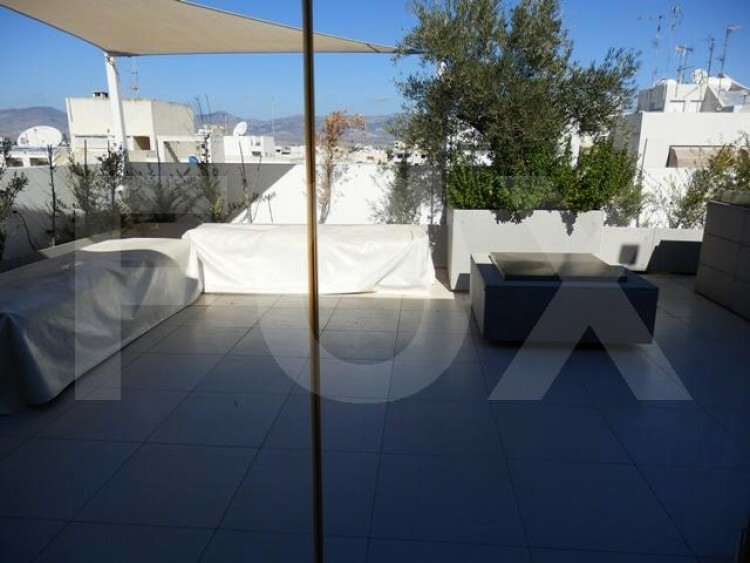 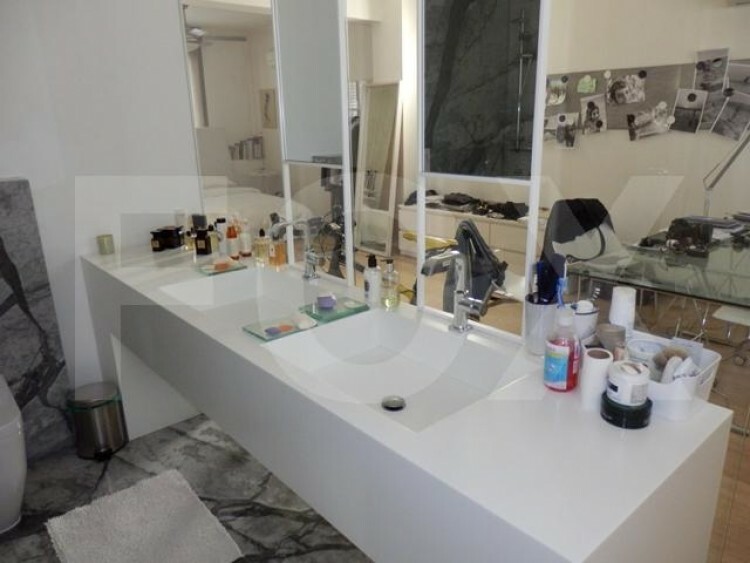 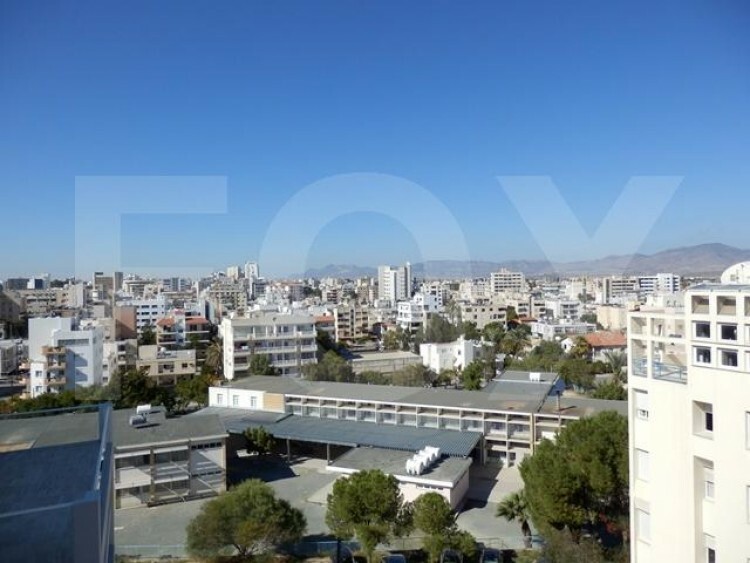 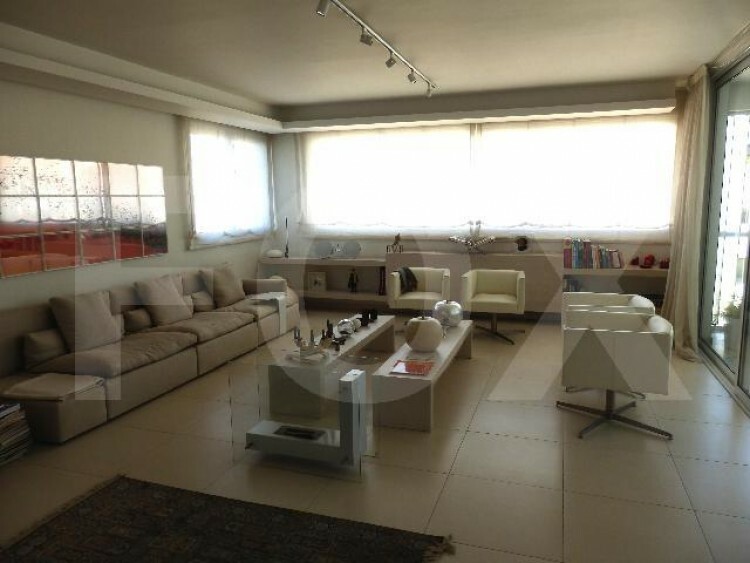 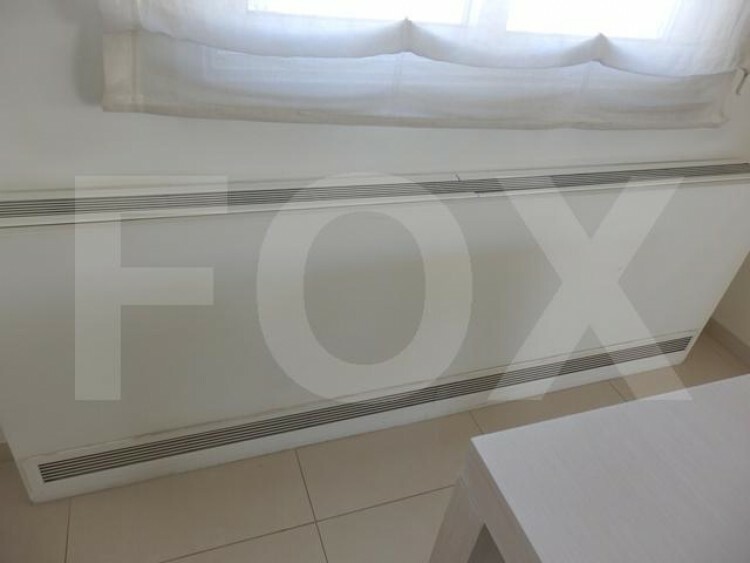 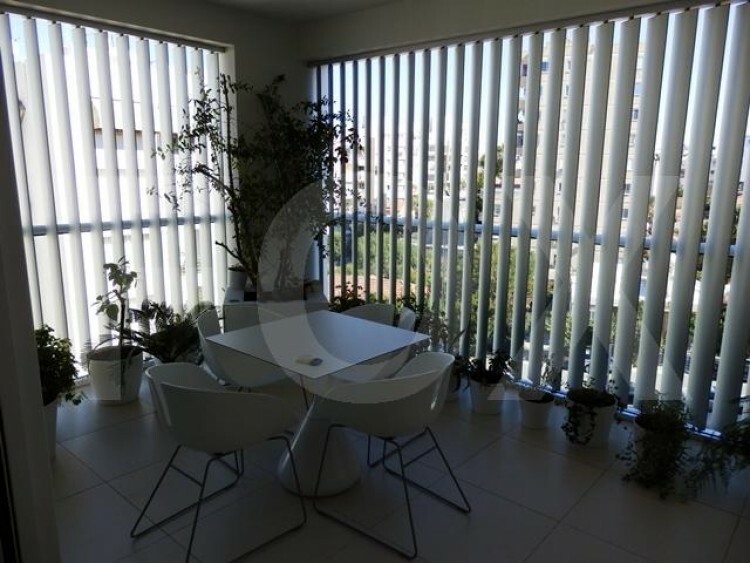 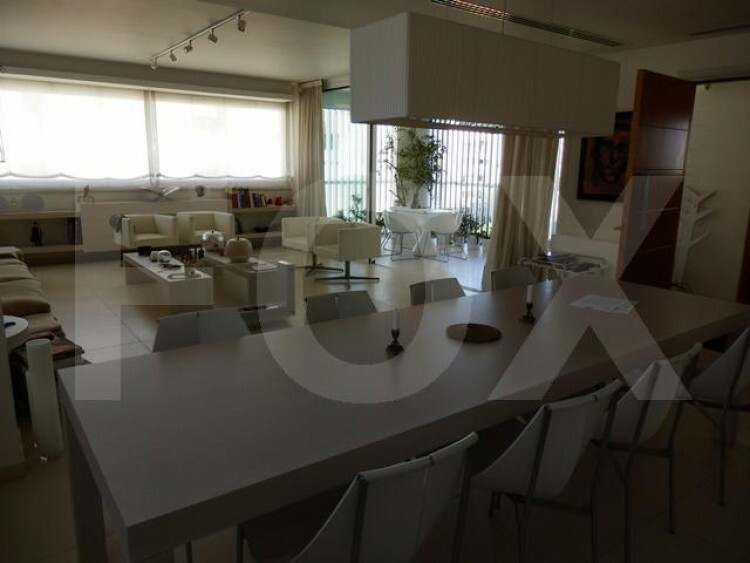 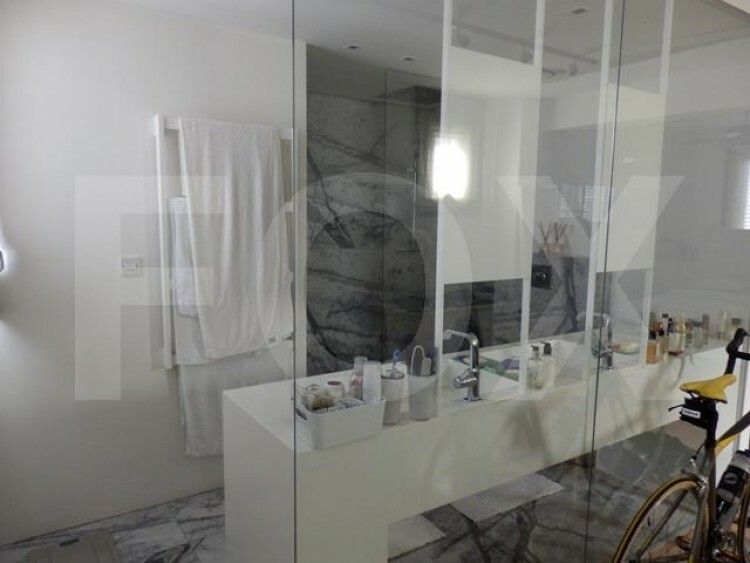 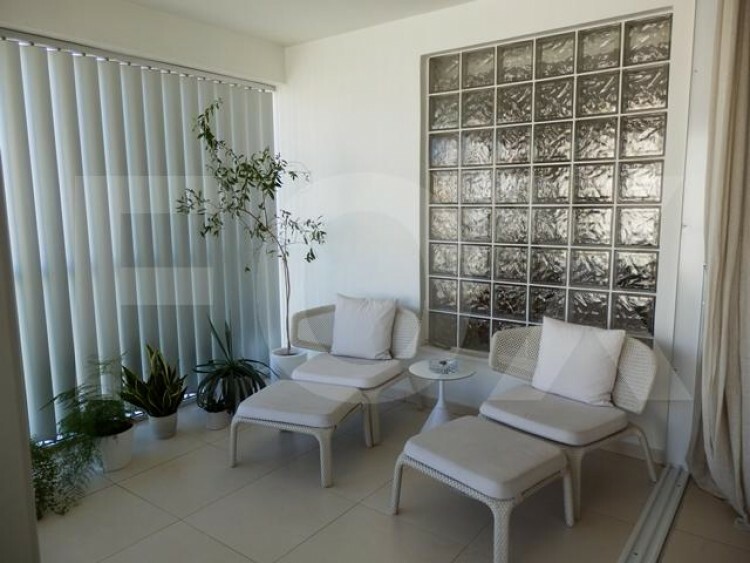 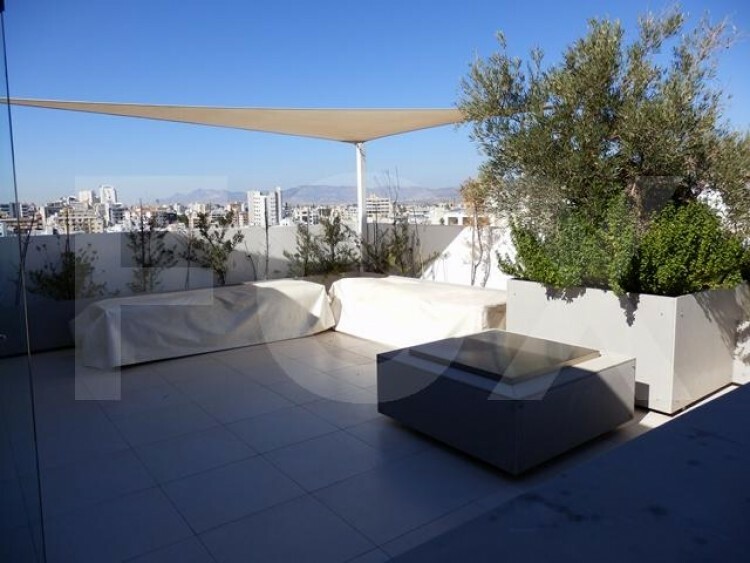 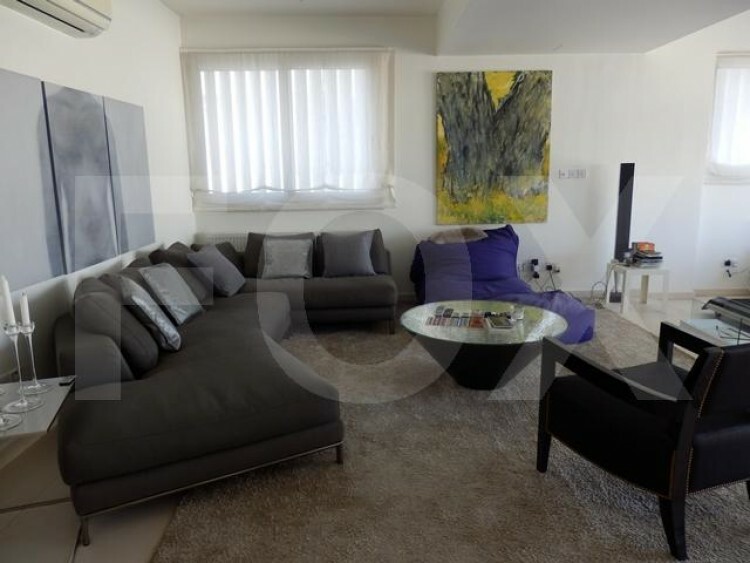 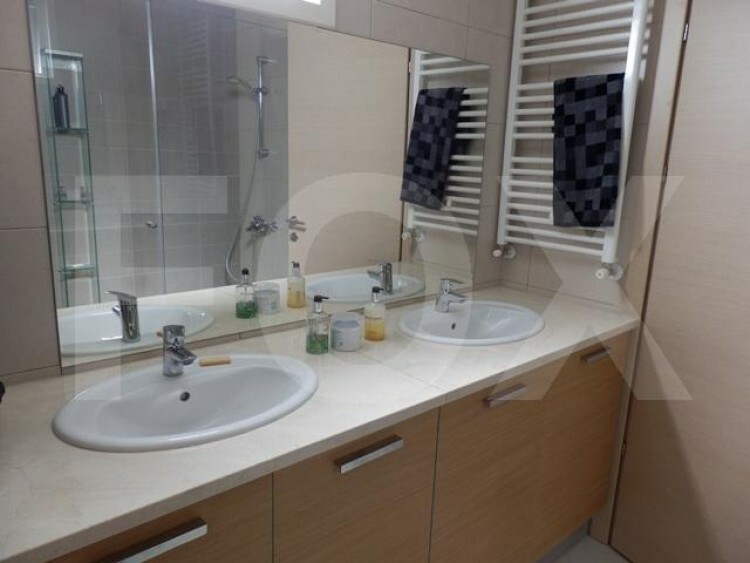 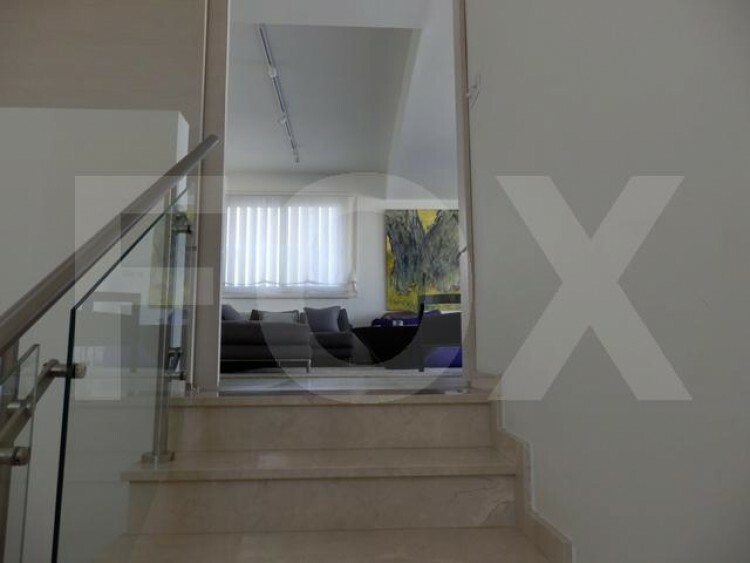 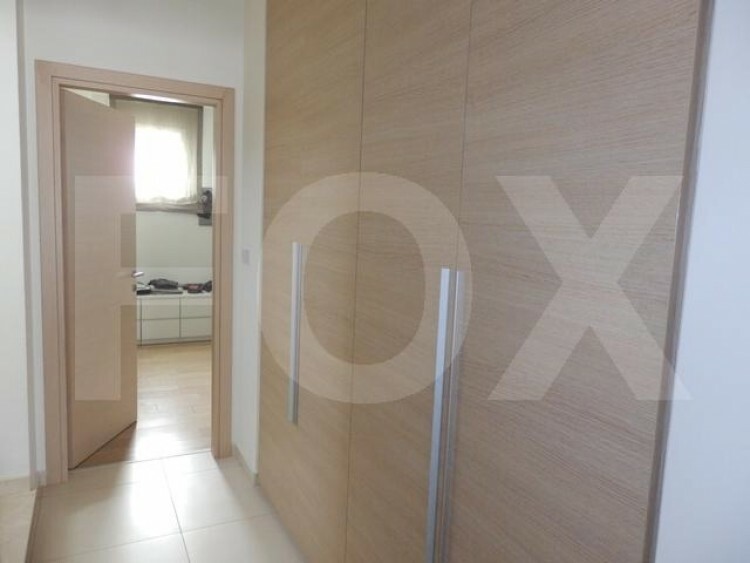 A luxury 3 bedroom modern apartment for sale in central Nicosia in a dead end quiet road close to the Hilton Hotel. 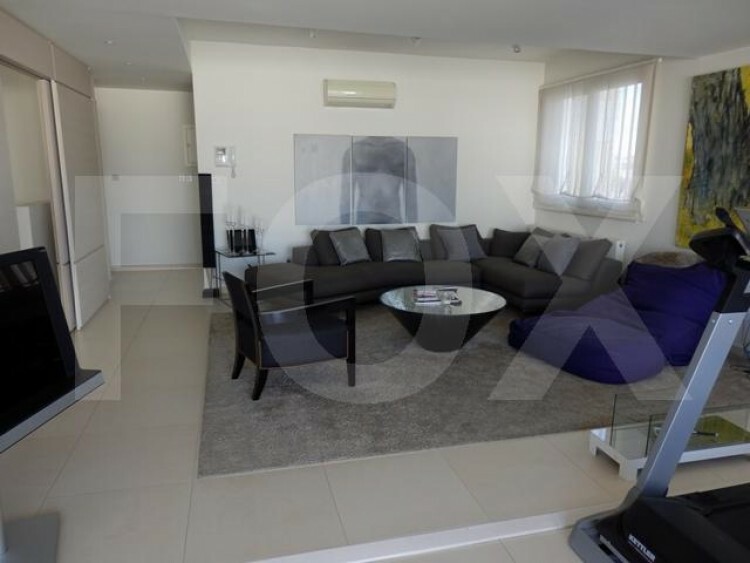 It is a two level apartment with on the down floor a large airy bright living room opening to a large covered veranda with blinds. 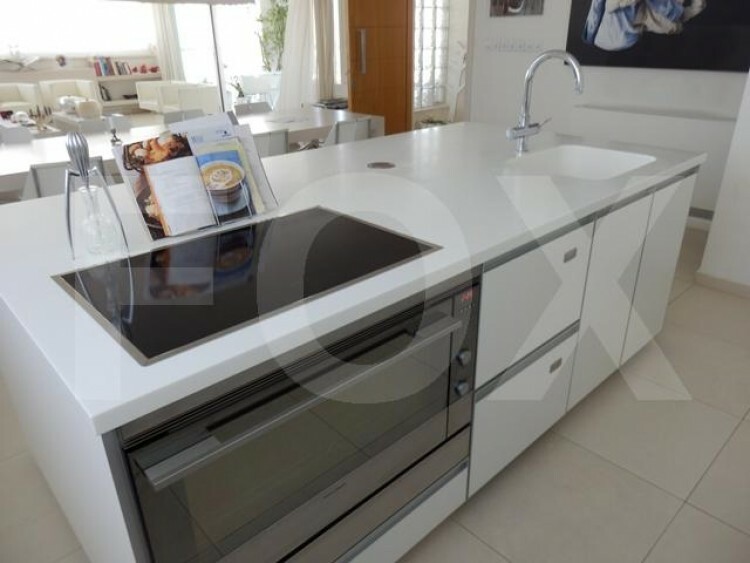 There is an open plan kitchen with all top class electrical appliances with a small room with a humidor with the ideal temperature of wine bottles to be stored. 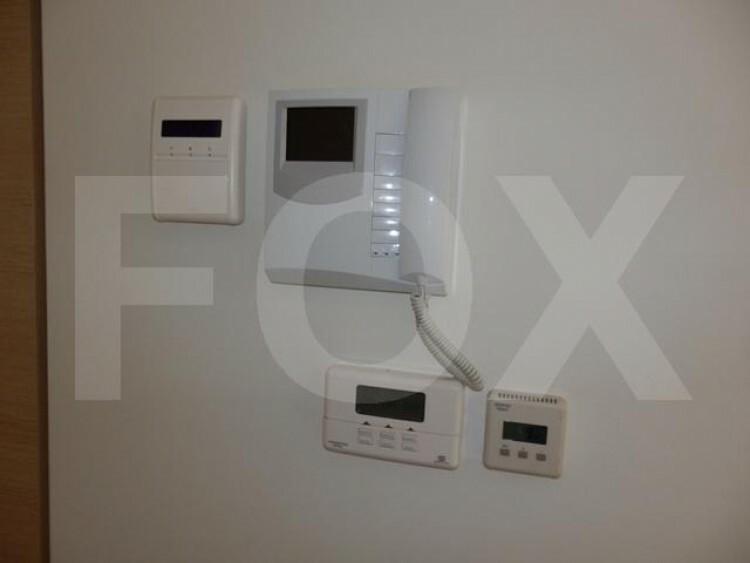 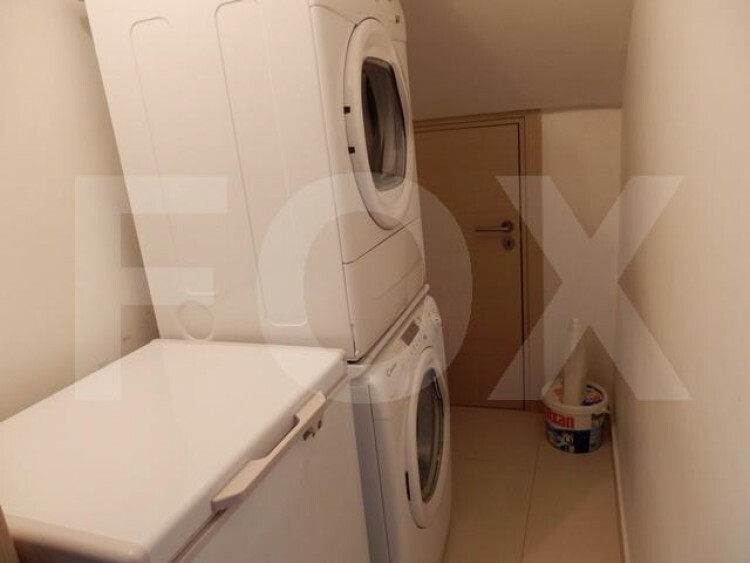 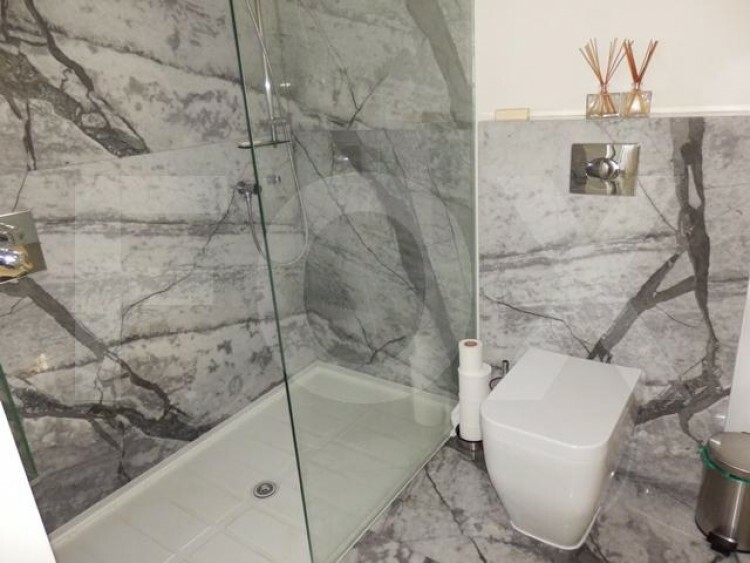 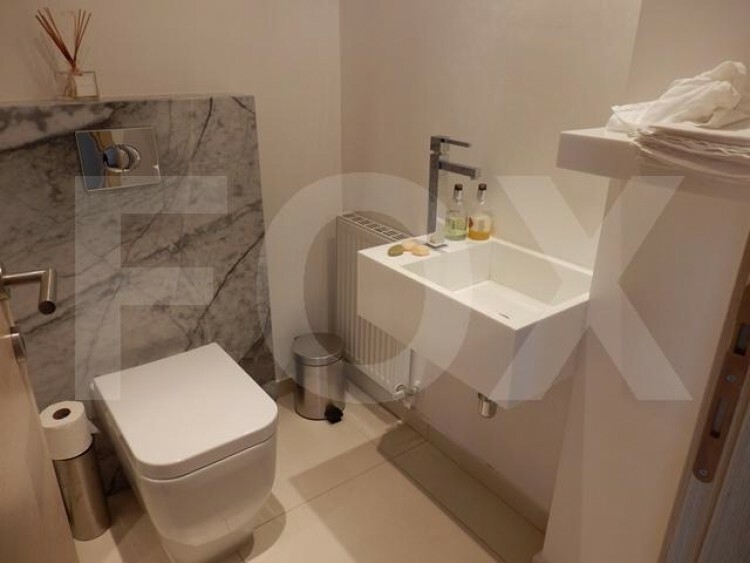 To add on the down floor of the apartment the master bedroom is placed which is ensuite with a double shower and a guest separate wc close to the kitchen. 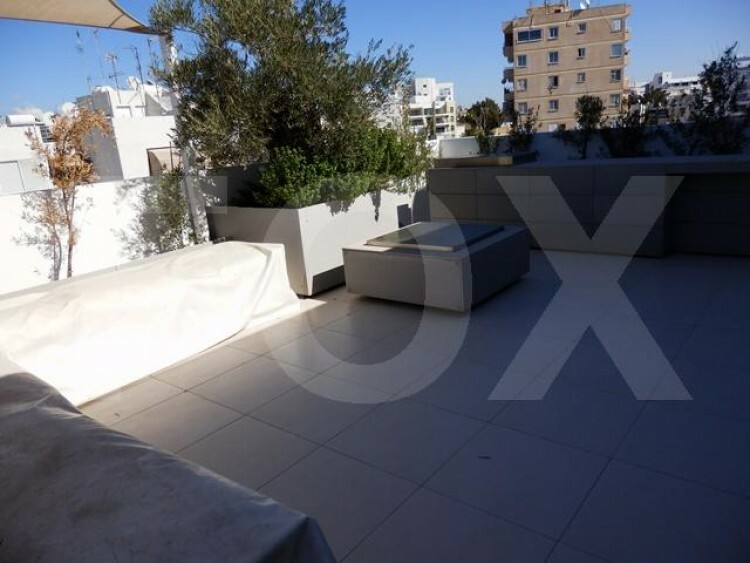 It includes a central petrol heating and fully air conditioned On the top floor there is another large living room with a large uncovered veranda with a barbecue place and a fantastic view. 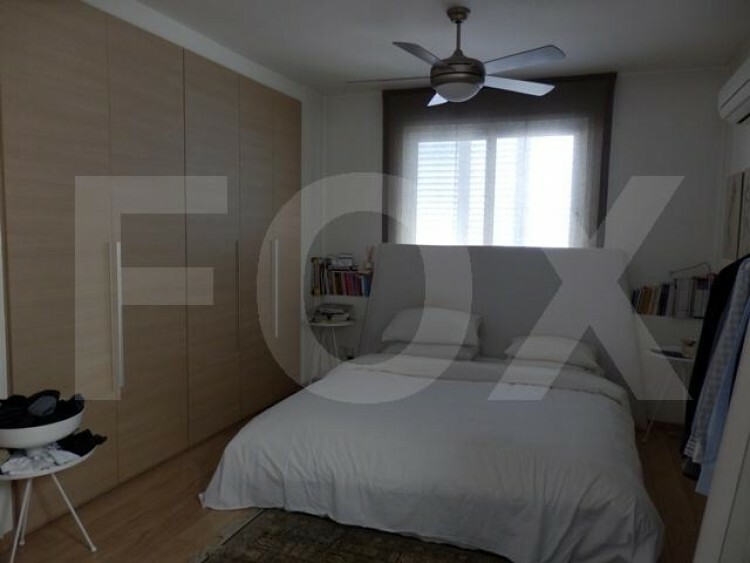 There is a perspective for an extra bedroom because of the design of the space. 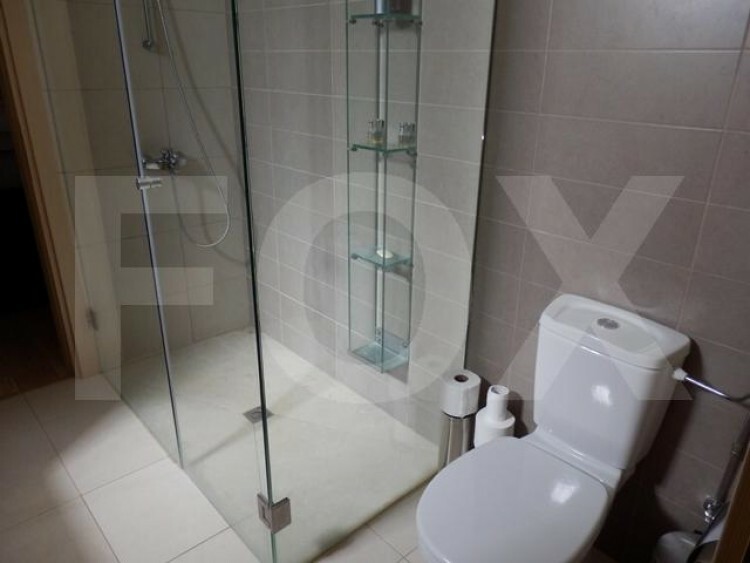 The two other bedrooms on the top floor are served with a large bathroom and a small kitchen. 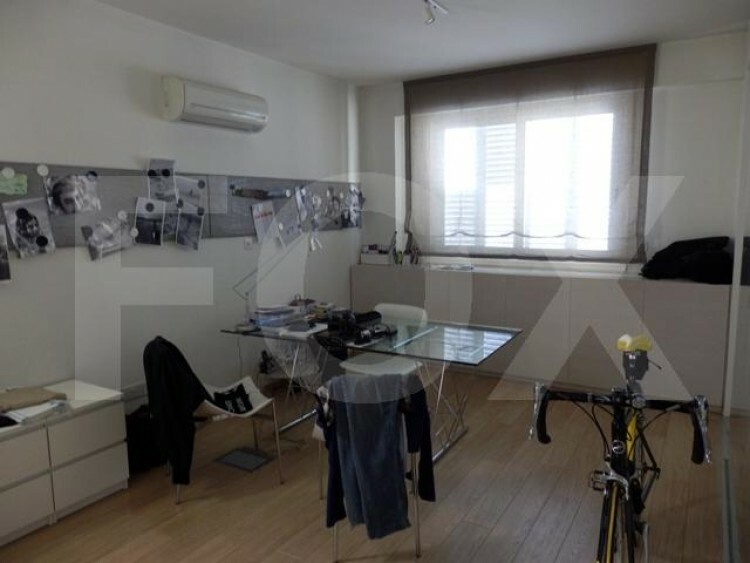 240 sq.m interior spaces esoteriki, 70 sq.m veranda and a 30 sq.m uncovered veranda with two covered parking spaces a storage room. 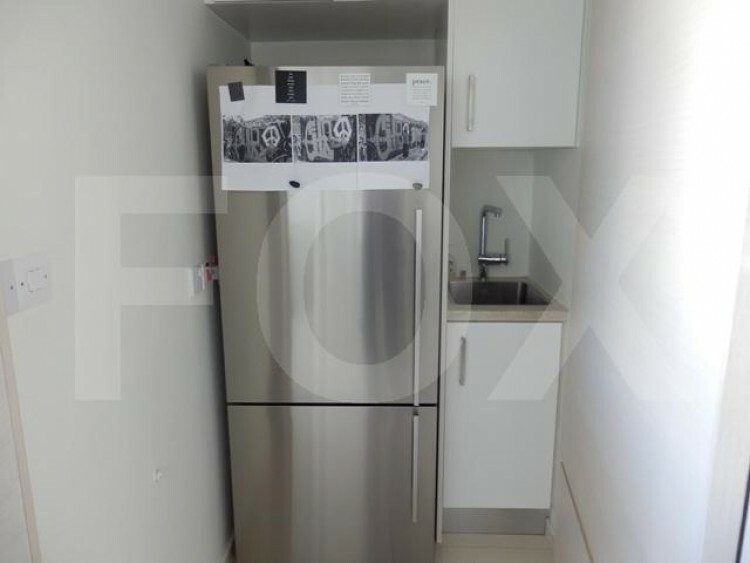 The price is 750000 negotiable.